Today, we're analyzing the 1950 Best Picture Oscar category. The photo above is of the winning film, All About Eve, starring Anne Baxter (left), Bette Davis, Marilyn Monroe and George Sanders. Of course, there were five nominees for best picture in 1950, but only two of the contenders actually had any chance of winning. The eventual Oscar winner, All About Eve, is a biting satire about an aging Broadway diva written and directed by Joseph L Mankiewicz. Sunset Boulevard is an equally biting satire about an aging Hollywood diva written and directed by Billy Wilder. The other nominated films -- Born Yesterday, Father of the Bride and King Solomon's Mines -- are good films, but they certainly don't measure up to either Eve or Sunset, which are both landmarks of American cinema. Here's our rundown on the 1950 best picture Oscar race. Stars: Bette Davis, Anne Baxter, Celeste Holm, Gary Merrill and George Sanders. Academy Awards: Won a total of six awards: best picture; best supporting actor for Sanders; best director; best original screenplay for Mankiewicz; best costume design and best sound editing. Nominated for eight more Oscars. Plot: An aging Broadway diva (Davis) becomes the mentor of a seemingly humble young actress (Baxter). Pros: All About Eve is one of the landmarks of American cinema and it is certainly the best film ever made about the theater. The cast is perfection, especially Davis as the haughty but insecure actress Margo Channing and George Sanders as the acid-tongued critic Addison DeWitt. The screenplay is brilliant, featuring some of the most quotable lines in film history. All About Eve has become a part of pop culture with even those who have never seen the film familiar with Davis standing on the staircase and declaring, "Fasten your seatbelts, it's going to be a bumpy night." Cons: It's a minor quibble, but some of the scenes between Davis and Merrill, who plays her director and love interest, go on a bit too long. 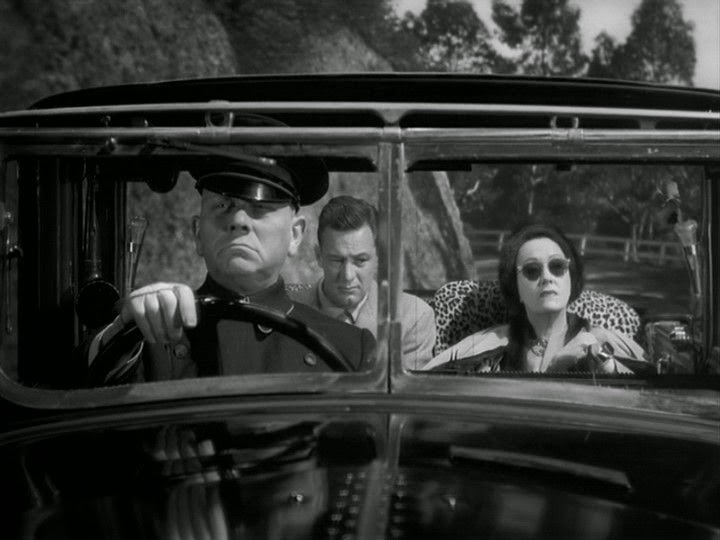 Stars: Gloria Swanson, William Holden and Erich von Stroheim. Academy Awards: Won three Oscars: Best original story for Wilder, Charles Brackett and D.M. Marshman Jr.; best art direction and best musical score. Nominated for eight more awards. Plot: A delusional silent film star (Swanson) hopes a young screenwriter (Holden) will help her regain her former glory. Pros: Sunset Boulevard is a landmark in American cinema and one of the best satires about Hollywood ever made. The cast is perfection, especially Swanson as the delusional Norma Desmond. The script is brilliant, featuring some of the most quotable lines in film history. Sunset Boulevard has become part of pop culture with even those who have never seen the film familiar with Swanson's descending down the grand staircase while declaring, "Alright, Mr, DeMille, I'm ready for my close-up." Stars: Judy Holliday, William Holden and Broderick Crawford. Academy Awards: Won one Oscar: best actress for Judy Holliday. Nominated for four more awards. Plot: A mobster (Crawford) hires a journalist (Holden) to give his girlfriend (Holliday) etiquette lessons so they can blend in with Washington D.C. society. Pros: This is another film with a witty screenplay that features terrific performances. Holliday is pure genius as the stereotypical "dumb blonde" who turns out to be a lot more shrewd than she looks and she is ably supported by both Holden and Crawford. Cons: The film is based on a famous stage play and it shows. Cukor did do quite a bit of location shooting in Washington D.C., but the film still feels very "stagy" to me, with many scenes featuring the actors saying their lines on static sets, just like they would have done on Broadway. 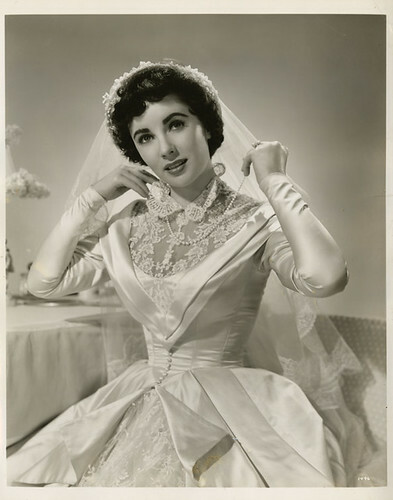 A young Elizabeth Taylor gets married in Father of the Bride. Stars: Spencer Tracy, Joan Bennett and Elizabeth Taylor. Academy Awards: No wins. Nominated for three Oscars: best picture; best actor for Tracy and best original screenplay. Plot: A devoted father (Tracy) goes through the trials and tribulations of wedding planning when his eldest daughter (Taylor) decides to get married. Pros: Father of the Bride is better than it has any right to be. The cast and crew could have just phoned it in and this film still would have made boatloads of money (the release was timed to coincide with Taylor's real-life wedding to Conrad "Nicky" Hilton), but everything about Father of the Bride is first-rate. Minnelli's inventive direction elevates the standard storyline and Tracy gives one of the best performances of his long and storied career. 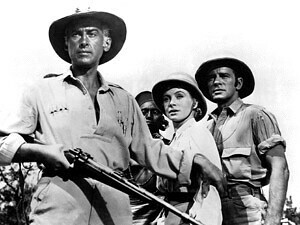 Stewart Granger, Deborah Kerr and Richard Carlson brave the wilds of Africa in King Solomon's Mines. Directors: Compton Bennett and Andrew Marton. Stars: Stewart Granger, Deborah Kerr and Richard Carlson. Academy Awards: Won two Oscars for best color cinematography and best film editing. Nominated for one more award. Plot: Adventurer Allan Quartermain (Granger) leads an expedition through Africa to help a woman (Kerr) and her brother (Carlson) find her husband, who disappeared while searching for the fabled King Solomon's Mines. Pros: This is the weakest film among the best picture nominees, but no one can complain about the spectacular location shooting. Much of the film was shot in Africa, featuring native wildlife and beautiful locations like Murchison Falls in Uganda and the "volcano country" in Congo. Many real Africans in traditional costumes were also featured in the film. Cons: H. Rider Haggard's 1885 adventure novel was already dated by 1950, but the film feels even more hackneyed in 2015, especially the love story between Granger and Kerr, which wasn't in the original novel. You might like: Our feature on Sunset Boulevard's journey to the screen. Next in our Movie of the Month series: Norma Desmond's car, the Isotta Fraschini.